Taking The Plunge is a choice. Why? You ask? Because this life is meant to be lived deeply, fully, meaningfully. We spend too much of our time on things that don’t matter. So, we, those who’ve dedicated ourselves to The Plunge, have decided to choose a life that is lived in such a way that our footprint will make a difference. Everything we do and say comes about from the choices we make. So let’s make the right ones. Choose joy, and let’s take this week’s PLUNGE. 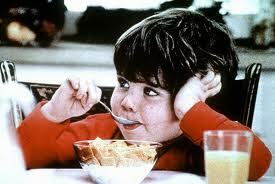 When I was little, there was this famous commercial about trying to get Mikey to eat Life cereal. The kids in the commercial say, “Let’s give it to Mikey, he won’t eat it, he hates everything!” But when Mikey tries the cereal, he loves it. Before the drastic change in my food lifestyle, I would never try any new foods. I was satisfied with what I was currently eating, and my routine was just fine with me. Now, I try everything – because who knows what kind of adventure could be waiting for my taste buds in that new food? It’s an experience I don’t want to miss. Life is about experiences, and most of the time, we say NO to new ones because we just aren’t comfortable with risk, change, or well, we’re just too lazy to make the effort. Like Mikey, you’ll never know unless you try. PLUNGE #1: Try something new. A new grocery store, a new food, a new routine in the shower…just be willing to try something new. One summer my husband and I were at a barbecue. That day, I was feeling especially ornery. Now, those who know me understand that ornery could be my middle name – but that day I was up for some fun. My friend Buffy and I decided we would spy on the husbands who were up on the deck grilling the burgers. We ran from tree to tree, hiding. 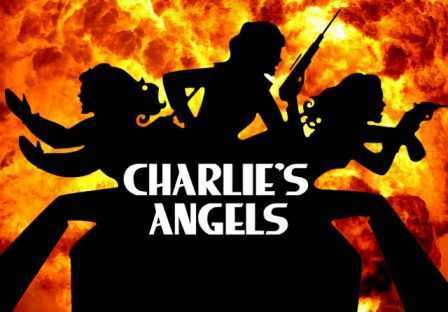 We would roll around in the grass, using logs as shields from our “enemies.” We held our hands Charlie’s Angels style as we used our imaginary scopes on our imaginary guns to scope out our foes (who, frankly, were ignoring us). My husband made it clear that he could see me and that my spying efforts were in vain. But it wasn’t about the spying. It was about the fun. When we “grow up” and become adults, we forget what it’s like to be kids. We stop getting on the floor on our hands and knees to play. We consider “playing” something childish and we look on others who do so as “immature.” We consider it a waste of time. But that day, Buffy and I couldn’t stop laughing. We will forever remember the day we decided to be kids again. PLUNGE #2: Do something playful this week – be a kid. PLUNGE PLUS: Literally ask someone to come out and play – and then play together. This disturbing article about cell phone addiction tells me that we are all struggling with balance in our lives. Cell phones are great – I love mine. I keep up with Facebook, Twitter, my friends, my texts, my blog…all through that wonderful invention. But anything can become an addiction, right? The article also talks about the quality of sleep lessening because of our addictions to technology. Since taking The Plunge is all about sucking all the marrow out of life, then we want to make sure we are living balanced and complete lives – getting the most out of everything we do. So we have to be careful the control our phone has over our lives. Now, for you it may not be your phone. It might be Facebook or Twitter. Maybe it’s blogging or SnapChat. Whatever it might be, let’s make sure there’s balance. Now, if the very idea of this plunge makes you feel anxious – then you know there’s probably a problem. Let’s nip it in the bud right now. PLUNGE #3: For a time period you designate each day, make your life absolutely (insert technology choice here) free. 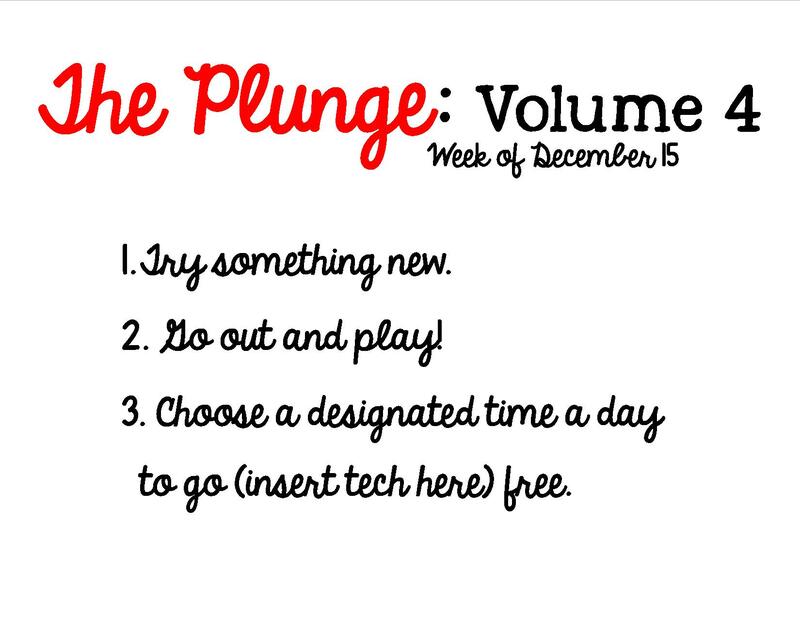 PLUNGE PLUS: Choose one day to go (insert technology choice here) free in ADDITION to your daily time period. You can do anything for a week. If any of this is difficult, GOOD. 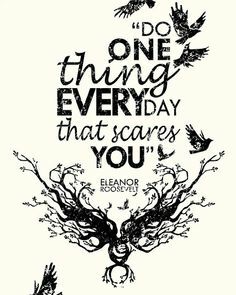 Eleanor Roosevelt said we should do something everyday that scares us. By scare, she doesn’t mean make someone hide behind a bush and jump out at you. She means TRY SOMETHING. 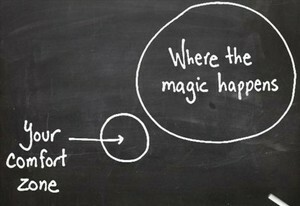 Step outside your comfort zone. And that’s what The Plunge is all about: creating magic. Pushing you outside yourself and bringing you joy. Now, some of you might say you don’t have a problem with technology addiction. OKAY, what DO YOU need to designate time to put aside every day? Make the plunge work for you. It should be pushing you out of that comfort zone to the place where the magic happens: you becoming the best version of YOU. I am pressing on. I am living each day as if it were my last. I want the prize Christ has for me at the end of the race. Trying something new, being a kid, letting go of technology – what does that have to do with my relationship with Christ? What if I decided that THIS week I would try DAILY seeking Him in prayer? A designated time and place where I ALWAYS meet with Him regardless of my schedule? What if, like the boy with the bread and fishes, I decided to give up my lunch so that someone else could have one and then I ran to the lap of Jesus like a child? What if that time I give up technology was devoted to my personal Bible reading, time sharing faith with someone else, or reading the Bible to my children? I want to live the best life and encourage others to do the same. 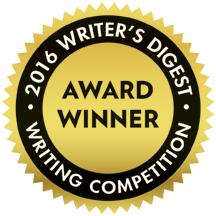 So I continue to press on toward the goal to win the prize for which God has called me heavenward in Christ Jesus. I would love to hear from you! Below is a private comment box that can only be seen by me. Tell me how your Plunges have been, what has happened as a result. Also, if you have any ideas for future Plunges I would love to hear your thoughts! Also, as a fellow Plunger, I challenge you to do a couple things. First, post your results from last week on your Twitter or Facebook page. I have enjoyed reading some of your updates – and they inspire me! Second, challenge a friend to do The Plunge with you. Everything is better with a friend! How many Plunges have you participated in? One Two Three This is my first PLUNGE!